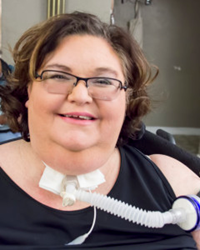 Disability rights activists from across the state will be testifying Friday before the Colorado legislature's House Committee on Public Health Care and Human Services in opposition to HB-1135, which would legalize assisted suicide in the state. The group called Not Dead Yet opposes assisted suicide as a deadly form of discrimination against old, ill and disabled people. Disabled lives are devalued by medical professionals and society at large. Mistakes will be made, and unnecessary deaths will occur. Disability rights activists from across the state will be testifying Friday before the Colorado legislature's House Committee on Public Health Care and Human Services in opposition to HB-1135, which would legalize assisted suicide in the state. The group called Not Dead Yet opposes assisted suicide as a deadly form of discrimination against old, ill and disabled people. The hearing begins upon adjournment of the House in Room 271 at the State Capitol.